Pic of the week: my girlfriend was so sweet to pay for a Telluride weekend. So far, in SW CO, the snow hasn't really shaped up yet. However, this was one of those early-season snowfalls that did produce. 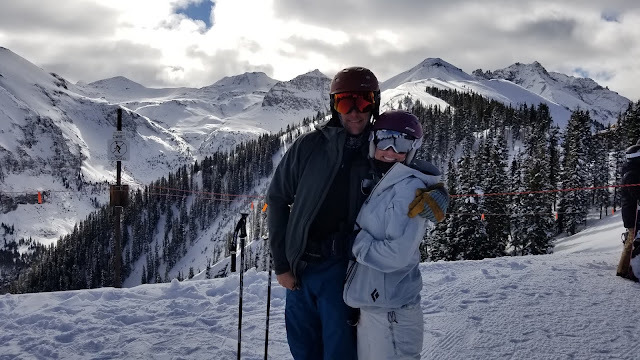 This was my second trip skiing in Telluride, and dang... What a resort! 1. As always, the music suggestion for this week. I've become this huge fan of pretty much anything from Daily Bread https://soundcloud.com/daily-bread The EDM / Hip Hop artist mixes everything from classic soul to modern hip hop and synth beats for spectacular tunes that won't disappoint. 2. In keeping with the ski theme, I must recommend the Giro chips https://www.giro.com/us_en/snow/accessories/audio.html from phone calls to funk, these bass-booming bluetooth speakers drive a sound explosion in to your ears. With an easy on and off switch, you can stop the music fun with one click for chair lift philosophy. At $129, they're kind of pricey, but who can put a price to shredding and tunes! 5. And now to our quote... I'm back to the powerful and insightful Bruce Lee. This quote stood out to me this morning: when you say something is impossible; you have made it impossible.